I survived the Snowpocalypse of 2015, and during the all-encompassing snow storm, I had a lot of time to think about how I want to spend my summer. You know, once all this snow finally melts. Every year I tell myself that I’m going to travel somewhere fun, but I always hold myself back due to finances. But not this year! This year I promised myself that I would actually follow through with my plans, because traveling as a student is really about as cheap as it will ever be. To help other students who have held back on their travel dreams, I’ve compiled some tips that I’ve found during my research on the best ways to travel as a student. There are thousands of websites out there touting the lowest rates around, but only a few cater specifically to students. STA Travel and Student Universe are renowned for delivering fantastic experiences for very little coin. Both sites offer package deals and discounts on all aspects of travel—from airfare to tours—exclusively for students who can verify their university enrollment. These resources are also jam-packed with money-saving tips from fellow student globe-trotters. Most importantly, these sites typically allow you to pay a set price per month rather than one lump sum. Each year, government departments fund a limited number of undergraduates to go on three-week cultural exchange programs such as Study China and Study India. All accommodation, transport within the country, and subsistence costs are covered by the schemes. Home universities will often fund flights, visas, and vaccinations. A great way to fully immerse yourself in another culture—from food and drink to language and daily customs. Some organizations exist with the sole purpose of funding travel, especially for students. You should look into you university as well. They can also have special funds set up for travel. To cash in on this generosity, you’ll need to present a clear plan and persuade a board of people that your trip is worthwhile. Many organizations value trips that will enhance personal or cultural development, but each has its own specifications and criteria. While the SPRET educational trust caters specifically for students based in certain areas, UNESCO and the UN both offer more general funding to travelers. Many students take on the challenge of a trip known as a ‘Jailbreak’ to raise money for charity through their university or a campus society. These adventures are usually organized annually and the general idea is to travel as far as possible over the course of a weekend (or longer) without spending any money. Friends and family sponsor you, often per mile, with a bonus for the winning team who end up furthest away. People and companies are relatively forthcoming with freebies if you’re raising money for a good cause, and your whole traveling experience will certainly be a unique one. The cliché that you’ll meet people from all walks of life at university is usually accurate. Many may come from places you didn’t even know existed. Whether your friends are local or from Australia, take advantage of the travel opportunities provided by knowing them. Stay with acquaintances and you’ll come out of it with new perspectives, language skills, and often a full stomach. You’ll have to pay to get there, but the accommodation and the personal tour guide are free. Additionally, if you and friends all want to go together, you can get group rates, such as with EF Tours. 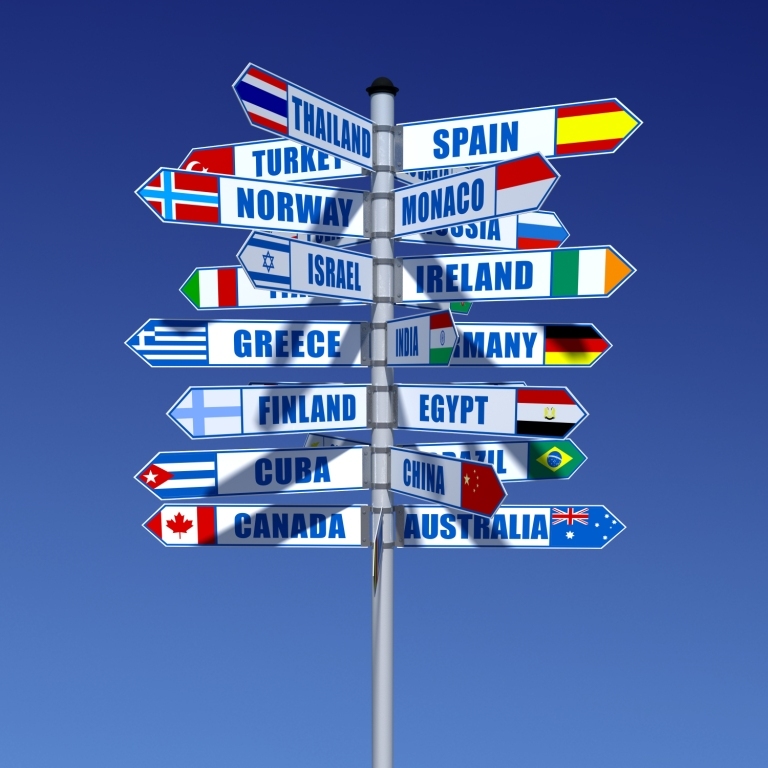 There are plenty of opportunities for any undergraduate to travel through studying abroad. Almost all U.S. universities have some sort of study abroad program in their curriculum. If accepted, grants, scholarships, and other forms of financial assistance are all available—often in addition to your regular grant or loan. Individual universities often have partnerships with certain institutions overseas too. Hotel stays can eat up a large chunk of a travel budget, but the advantage that students generally have over seasoned travelers is their ability to sleep just about anywhere. If that’s the case, opting for a shared hostel room is a great way to conserve cash and meet fellow explorers. Despite the seedy reputation that hostels carry, they’re generally clean and safe. However, it’s always a good idea to check the reviews on sites like TripAdvisor, Hostels.com, or HostelWorld before booking. If staying in a hostel doesn’t sound appealing, couch-surfing is another way to go. International websites such as CouchSurfing connect budget-minded travelers with locals who are willing to lend their spare bedrooms (and couches) to passers-through. These gracious hosts can also act as a great resource for information about the destination. 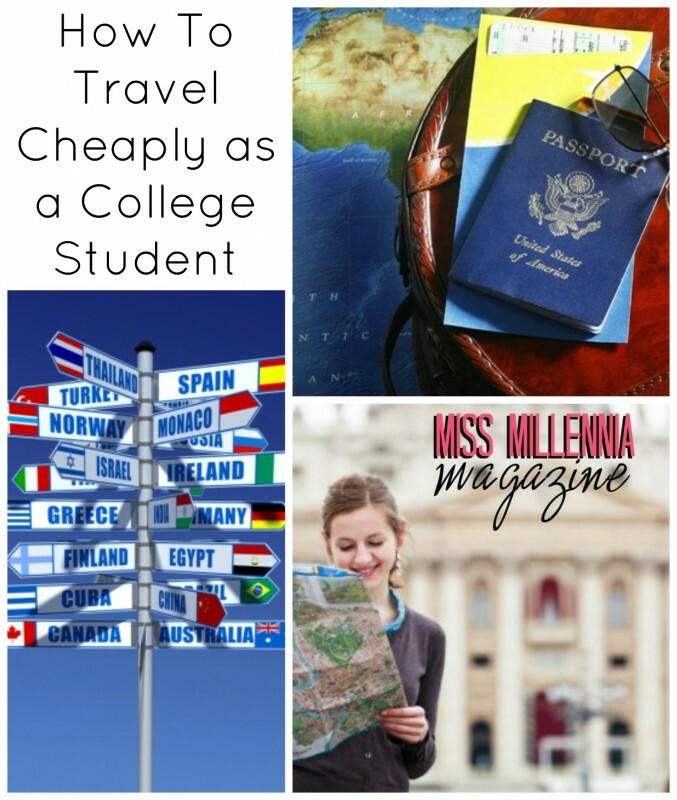 If you’re like me and you’ve been holding back on traveling because of the cost, then consider these tricks to keep your expenses low so you can enjoy your college years as much as possible. The only thing left is to choose where you want to go. As for me, my savings are currently going towards Ireland.